Welcome and Introductions: 07:35 - 09:28 Audra Simpson: 09:39 - 31:25 Chinyere Oparah: 31:40 - 54:04 Kim TallBear: 54:37 - 01:15:50 Question and Answer: 01:16:05 - END Tapping into legacies of critical resistance and self-determination, this plenary examines what it means to decolonize institutions. In addition to considering strategies for disrupting settler colonial logics and founding violences embedded in a range of institutions, presenters discuss how to reconceive institutional formations and relations in ways that do not reinforce legacies of trauma and conquest. 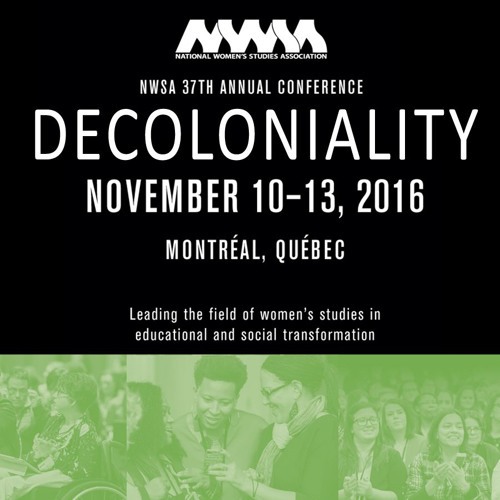 Rejecting environmental degradation, territorial dispossession, sexual violence, carceral/militarized state practices, coloniality’s divisive dichotomies, and the systematic destruction of languages and cultures, the plenary speakers draw from their experiences with community organizing, radical politics, and social justice work to reimagine the contours of education, law, and science.